Kevin Parker, 29, walks into an interview trailer behind the main stage on the first weekend of Coachella. Charles Bradley’s soulful cries can be heard as the door swings open. Parker is relaxed, Tecate in hand, scarf loosely tied around his neck, flip-flops worn likely for safety, not comfort — he virtually always appears barefoot on stage. In a few hours, his band Tame Impala will provide direct support for the biggest act to ever come out of his home country of Australia, AC/DC. Though his project’s psychedelic rock past doesn’t necessarily draw a direct influence from the classic rock icons, the honor isn’t lost on Parker. Tame Impala, from all vantage points, have a ways to go to reach AC/DC’s heights, but in terms of current Australian acts, the band is at the top of the pack. After two well-received albums, their new Currents looks to push the outfit further than anyone could have predicted five years ago. When it comes to his own project’s growth, though, Parker reserves more disbelief. It’s as if Coachella and touring and television appearances and “Best of” lists are all a dream from which he tries not to be woken, or an elaborate hoax in which everyone from fans to critics are in on the ruse. It’s an idea that Parker brings up frequently in other ways, suggesting half-seriously that either he or his project are undeserving of the attention that they receive and that it all might go away at a moment’s notice. While the idea is seemingly ridiculous, in a way, it beats the alternative. It keeps Parker grounded, appreciative of everything he has received from his music, and pushes him as an artist to make sure he deserves the acclaim. Currents’ first single, “Let It Happen”, telegraphed a change for the project when it surfaced in March. The finger-snap production, the weaving in and out of sound tunnels, fidelity changes, percussion elements coming and going — it doesn’t sound like a band. “Let It Happen” is more akin to the work of an electronic producer, and despite the clear use of organic sounds and instrumentation, straddling the line between band and solo project is something that Parker is finally truly comfortable with, though it has been the project’s M.O. since its inception. 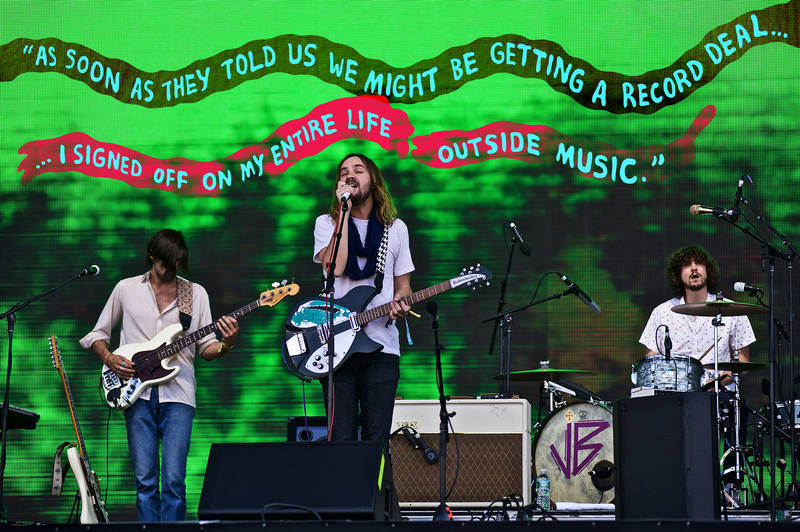 “The fact that it ever sounded like a band was just a decision of mine to try and make it sound like a band because I was into band music,” Parker says at Coachella. “But we never recorded as a band. It’s always just been me. I’ve always had this effort to try and make it sound like it could potentially be a band. And I always make sure that it doesn’t just sound like one person, to sound like a producer. Because I’ve always seen myself as a producer but not wanting to sound like one. Like many young people, Parker grew up listening to bands. In high school, he liked AC/DC, among others, but his infatuation with music began even before that as a young man growing up in Perth, Australia. After spending his early years being raised by his mother, he moved to stay with his father at the age of 11 and discovered a joy in creating music. Parker laughs now when he thinks about it. Regardless of how the music was created, when Tame Impala surfaced on American shores with Innerspeaker, they were a band. Their first LA date in 2010 was a free show at the Echo opening for Rainbow Arabia’s residency. The place reached capacity, and Tame Impala played two more shows the next day at the Silverlake Lounge in attempts to please everyone curious about seeing them. Parker and his band were flown from Perth to Sydney to perform for Modular and were signed. 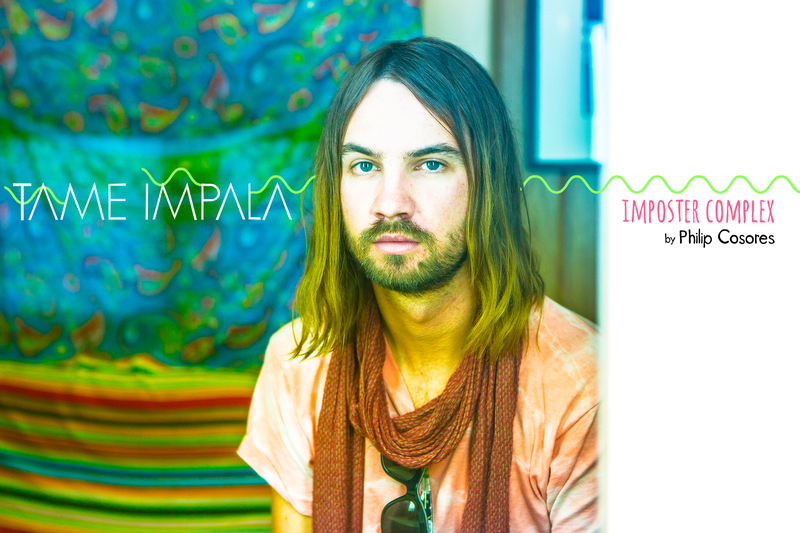 Tame Impala’s debut EP was just demos that Parker had previously recorded himself, but for Innerspeaker, he had something bigger planned. 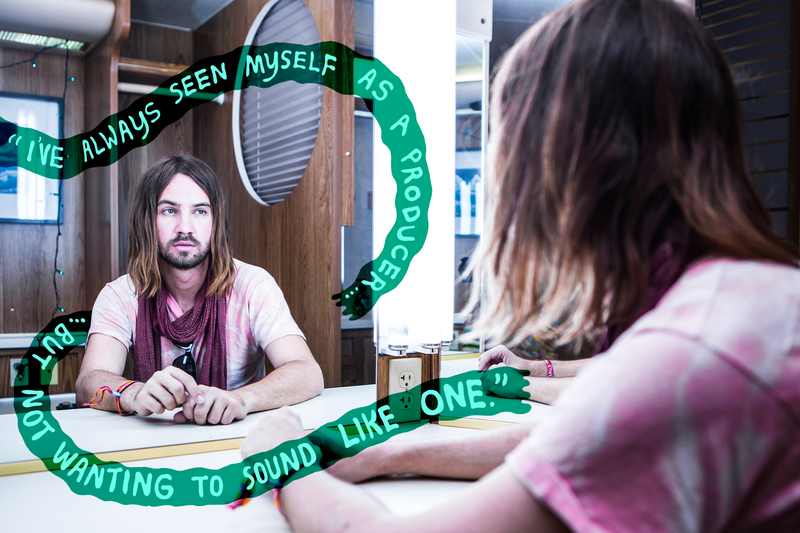 But as Tame Impala began touring the world, the highs and lows of success struck Parker unexpectedly. He recalls the first time the band traveled for two weeks in Europe, including their first show in London, seeing a line down the street and losing his mind when he realized Noel Fielding of The Mighty Boosh was in attendance, along with recording engineer Liam Watson.